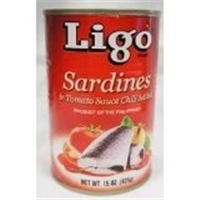 SARDINES (FISH), WATER, TOMATO SAUCE, SALT, SUGAR AND RED CHILI PEPPER. 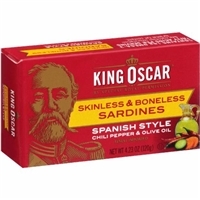 FOR KING OSCAR'S DELICIOUS SKINLESS & BONELESS SARDINES, THEY USE SMALL PILCHARD FISHED OFF OF MOROCCO. 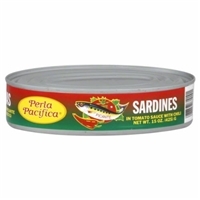 AND IN THEIR COMPREHENSIVE GLOBAL LINE, THEY ALSO OFFER DELICIOUS AND CONVENIENT SARDINES MADE FROM SILD AND OTHER SMALL FISH NETTED IN THE BALTIC SEA. 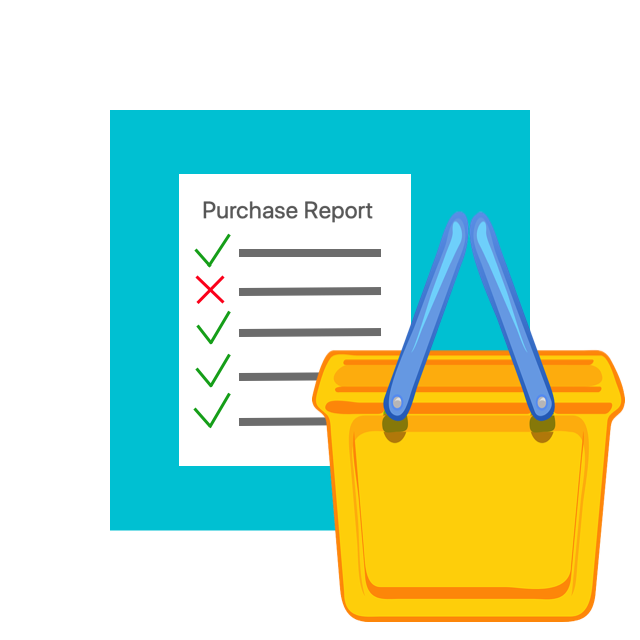 THESE ARE GENERALLY AVAILABLE IN EASTERN EUROPE AND SOUTH AFRICA. 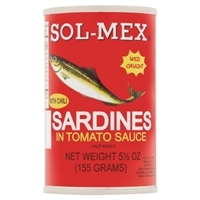 Sardines, tomato sauce, water, salt, chili. 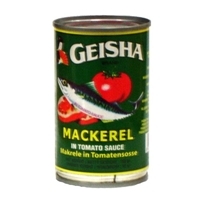 (contains: sardines). 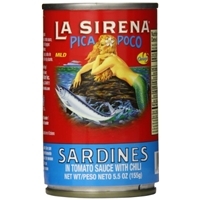 Sardinas, salsa de tomate, agua, sal, chile. 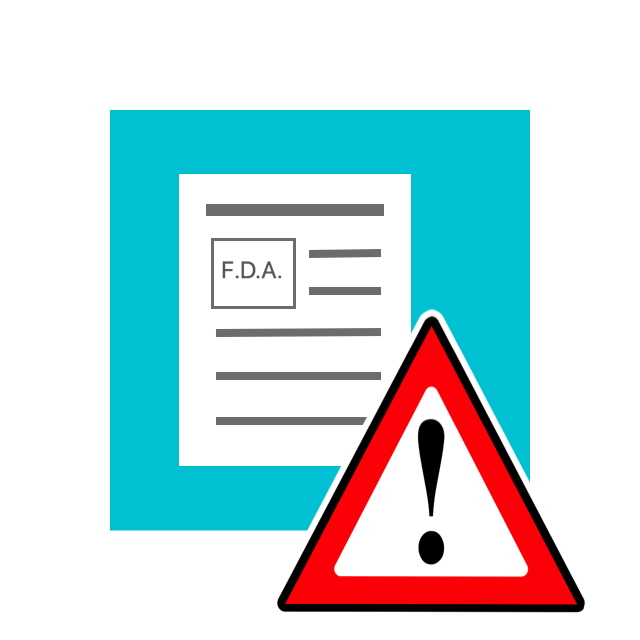 Brand/Manufacturer: sol-mex proveedora de alimentos del pacifico y cia. Sardines, tomato sauce, water salt, chili. 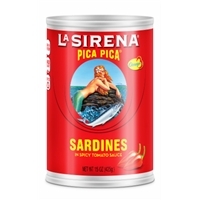 Ingredientes: sardinas, salsa de tomate, aqua, sal, chili. Sardines, tomato sauce, salt, red pepper. 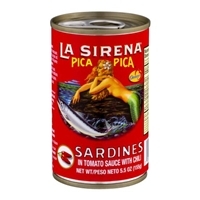 LA SIRENA SARDINES IN TOMATO SAUCE WITH CHILI.WILD CAUGHT.SPICY PRODUCT.WWW.LASIRENAFOODS.COM. 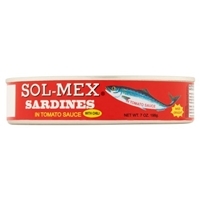 Sardines (fish), water, tomato sauce, salt, sugar and red chili pepper.avoid use in case of allergy to sardines/fish. 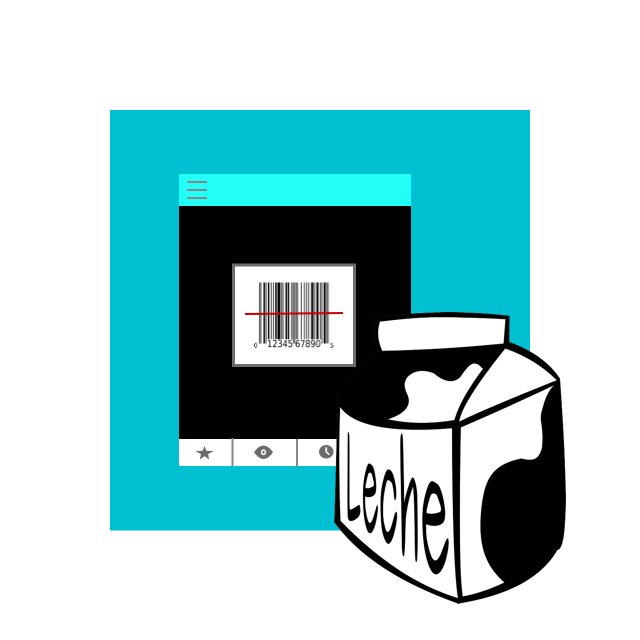 Spicy product. 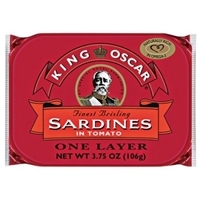 Norwegian brisling sardines, water, tomato paste, soybean oil, onion, sugar, potato starch, salt, spices, garlic powder, vinegar, paprika.